As you probably know by now, asbestos fibers are a respiratory health hazard. 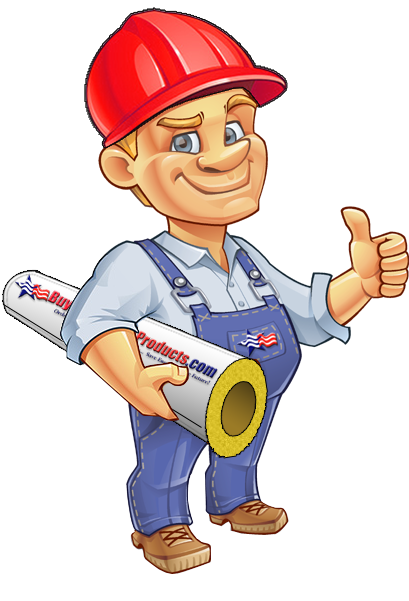 If you own a home with asbestos pipe insulation you have two options that will neutralize this hazard; removal or encapsulation. Asbestos removal is done by professional contractors who are licensed and trained in safely removing and disposing of the hazardous material. After receiving quotes for removal, a homeowner may decide that this project just isn't in their budget. If asbestos removal is not an option the next step is to encapsulate the insulation. Wet Wrap 'n' Seal: These 4" wide rolls of fabric are dipped in water and wrapped around damaged insulation and pipe fittings. Because the fabric is impregnated with plaster of paris and synthetic resins, it becomes a rock hard cast. Rewettable Cavas Pipe Lagging: A 60" wide fiberglass canvas which is dipped in water and wrapped around the pipe insulation. The canvas is impregnated with plaster of paris and hardens to a cast like barrier. Fiberlock Lag-Kote: A thick bridging encapsulant/sealant specifically formulated for application over asbestos pipe insulation. Lag-Kote should be applied over rewettable canvas as the final sealant of the encapsulation process.